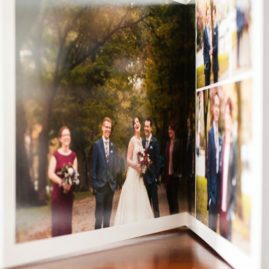 A custom-designed wedding album is a true treasure, especially in a world of digital photo sharing and storage. To make this album, you select the 50-75 photos you’d like included, you choose the cover and design styles, and then you approve the design. It’s fully custom, from start to finish, and the final product is an heirloom album that will be enjoyed for generations. While many of our grandparents’ wedding albums are crumbling after 60 years, these archival and handmade albums are built to last. 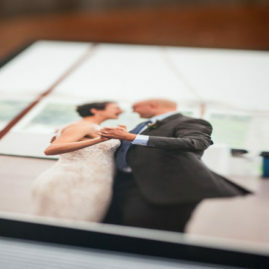 Check out the examples and information below and contact Leise if you have any questions about including a wedding album in your photography package.